Thank you. I tried this but the recipe is blacked out. It is working correctly for me on 3 different browsers and 3 different devices. Make sure you have updated your browser to the most recent version, I recommend using Chrome. You can also just copy and paste the recipe into a Word document and print from there. Tried these awesome wraps! Super delicious! Thank you for the recipe. I used canned refried beans instead of nacho cheese, and they were delicious . Made this recipe tonight and they were absolutely delicious!!! In Holland I couldn’t get all the ingredients at my local supermarket. So by lack of good nacho cheese I used a different kind of cheese spread and in stead of the tostada shells I snapped open a taco shell. Will be serving these to friends…. Came out great! Couldn’t find tostada shells so used hard taco shells that I broke in half. Will definitely be making again! I really like that we can make this meal at home and we don’t have to go to toco bell just to get something they made when you can make it at home. 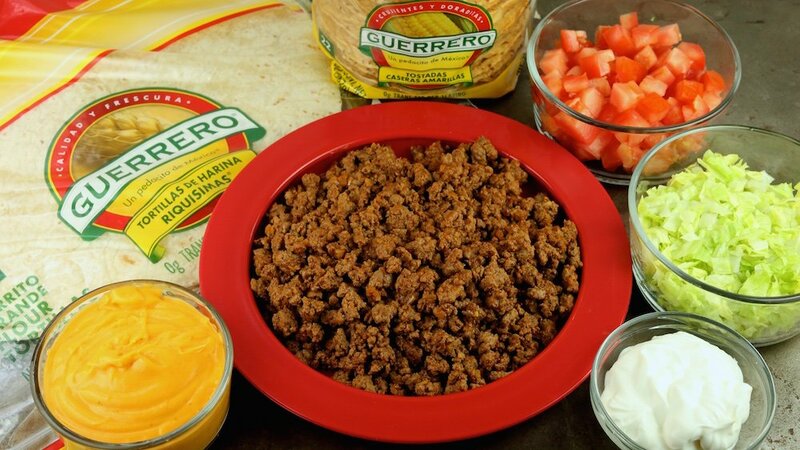 My wife is vegetarian so I will try this with Morningstar Farms crumbles instead of the beef – sauteed in chopped onions and garlic and a diced jalapeno peppper – and substitute 1 T Chili powder, 1 t cumin, and 1 t paprika, dash of salt and fresh ground pepper with a cup of vegetable broth for the taco seasoning. I nade this a couple of days ago and it was a hit. My family loves it very much and the asked me I can make it again. Thank u for sharing your recipe. 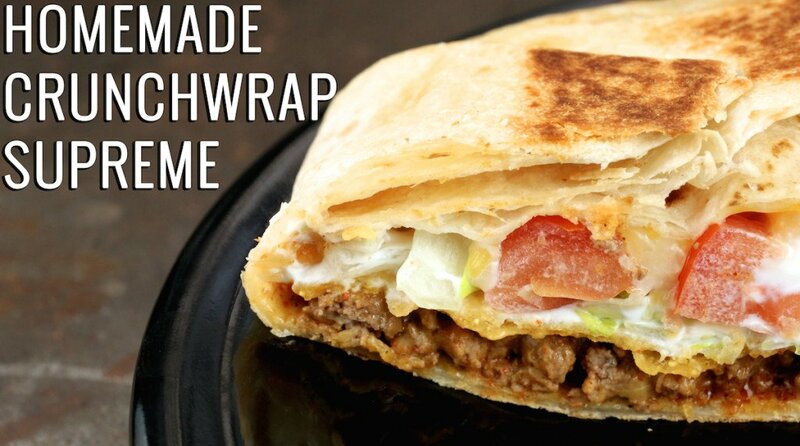 Well, the recipe to make a homemade crunch-wrap supreme is straightforward, isn’t it? These are FABULOUS and my picky family LOVED them! Thank you!!! Looks awesome, I can’t wait to try it – love the Crunchwraps!! One thing I have to say though… you should NOT use the spray in your pan – it will ruin the nonstick of the pan. I learned that the hard way! I love this! The sides were a little difficult but it is so good! Super easy and tasted great. Slow down the video a tiny bit maybe. This is my go to recipe when I’m making Mexican dinner night. I give it 5 stars!! Love this recipe. Easy to make. ,!!! 5 star! We love THESE!! Great recipe-these come out better than the “real” ones! Quick and easy- and delicious! 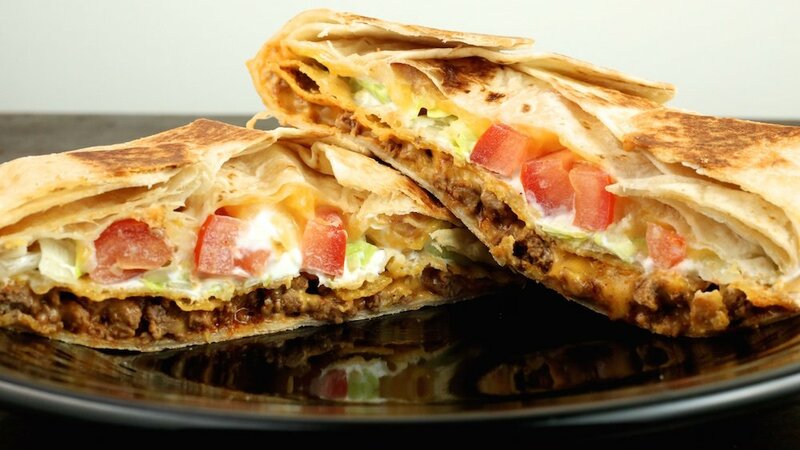 So easy to make, and as much as I love Taco Bell, this was 6938 times more delicious, believe it or not! Yum! 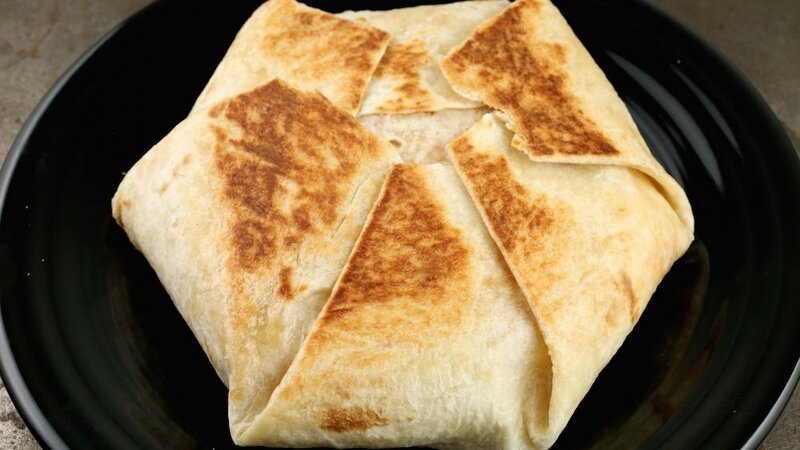 Both the tortilla and tostada will be soggy, but I love your spirit and that you want to meal prep Crunchwrap Supremes! I can’t honestly believe that I am the first person his happened to. 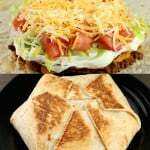 I have been making these for years, but cannot successfully put sour cream inside the crunch wrap and then “grill” it. I’ve tried several “tricks” to prevent curdled sour cream but so far, nothing has worked. I’m just really surprised that not one comment mentioned this problem. Is there something special that YOU do? All good when making, but as soon as I “grill” it in a pan, the finished product had curdled sour cream. I’ve resorted to dipping the Crunchwrap in it instead. Any help appreciated! Made this and it was amazing! i would love images showing how to do this!! This was phenomenal. My boys just about licked the plate, or was that me ??? Which taco seasoning do you recommend to use?? I usually use Taco Bell brand or my own homemade version. I actually forgot to put the shredded cheese on top, but since I had the nacho cheese on the bottom, it seemed cheesy enough without the extra cheese. I also used my own taco meat recipe instead of the taco bell and used my George Foreman to grill both the top and bottom at the same time and it turned out great. Will make again for sure. These were absolutely delicious! If you like spicy I would reccomend adding a little hot sauce inside of them!